Long Shots – Do They Even Stand a Chance? : Well with July behind us, you’d think there’d be some clear spring and summer releases producing some Best Actor choices, but there are only two that I can remotely endorse as a possibility. 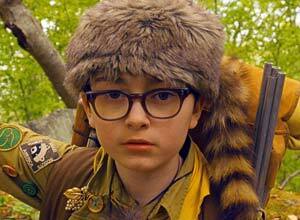 Sure, Oscar isn’t nearly as kind to young actors as it is to young actresses, but Jared Gilman has at least started the 2012 conversation for his deadpan turn in the hit Moonrise Kingdom. Contending with the older guys in this category is near impossible, though. And if it’d had a better release, perhaps Detachment could’ve granted Adrien Brody his long-gestating second Oscar nod. Alas, the film, which garnered some positive reviews, came and went without much fanfare despite a strong cast. Indie Contenders – Trifles or Heavyweights? : Every year the independent film community produces some potential nominees in the acting categories, though it seems Lead Actor isn’t always the place where these folks strike it rich. Nonetheless, John Hawkes is a major part of the conversation for The Sessions (nee The Surrogate) and is well on his way to a second Oscar nod. 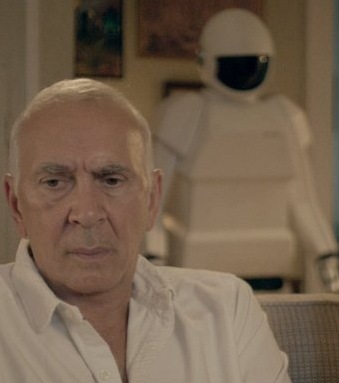 Perhaps not as certain are Frank Langella, for his well-received role in the quirky robot buddy comedy Robot and Frank, and David Oyelowo, who’s been logging away a widening filmography and had a role in festival fave Middle of Nowhere. In addition, seemingly Oscar catnip Richard Gere found some fans from the financial thriller Arbitrage. Honor the Film or Honor the Actor? : There are plenty of pieces, namely ensemble films and epics, that constantly create question marks as to whether or not the actors themselves will get any love. First off, there’s Lawless, which seems to have two leads, Shia LaBeouf and Tom Hardy. There’s a pedigreed cast here to be sure, but neither have had much luck in the past, and this film could easily go by way of Public Enemies and completely miss. In the same position is Ben Affleck, who is a true contender for directing Argo but perhaps not for acting. He also has a shot if To the Wonder sees a release this year. Tom Hanks is no stranger to this category but has certainly lost some of his cache. Still, he’s the biggest name out of Cloud Atlas, but how actorly the movie is remains to be seen. Finally, The Hobbit will surely produce a multitude of tech awards, but we all remember how stingy Oscar was with Lord of the Rings’ actors. Will Martin Freeman break through with the title role? The Arguable Frontrunners: On its face, there are some men in play that seem to have the director backing, the Oscar history and the strong buzz to go the distance. 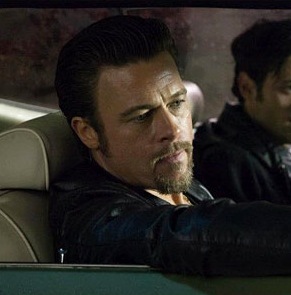 Brad Pitt has become somewhat of a fixture into his middle ages, and Killing Them Softly could be a promising prospect. (Does anyone else see him possibly gaining George Clooney status soon – the automatic nomination?) 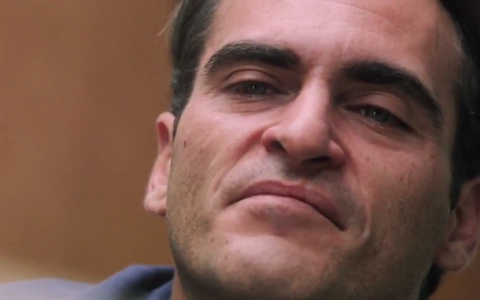 The real story of this year will likely be the return of Joaquin Phoenix who looks to be seriously committing in The Master. His biggest hurdle may be the questionable status of Phillip Seymour Hoffman – lead or supporting? Clint Eastwood looks to get back into the good graces of the Academy starring in the baseball drama Trouble with the Curve. 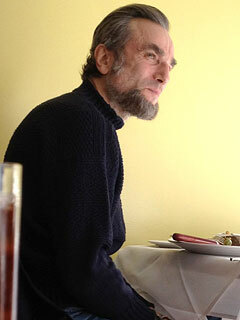 And perennial favorite Daniel Day-Lewis has a plum biopic role in Lincoln – but why do I keep getting the feeling it’ll fall in with J. Edgar and make voters grumble? Rounding out the group is one more strong biopic possibility, Bill Murray in Hyde Park on Hudson (though will his hot and cold relationship with Oscar sour this one? ), and Jean-Louis Trintignant for festival golden child Amour. The Movie Stars Make Good? : There are a handful of stars with celebrity status that are looking to either enter the serious acting fold or return for some Oscar glory after a sabbatical. 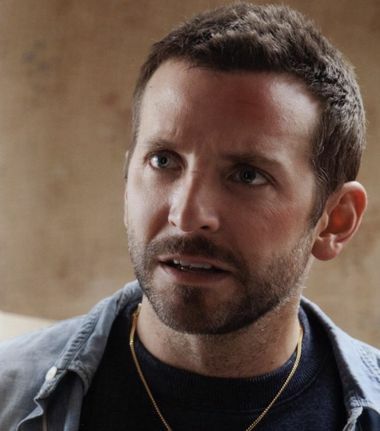 I’m not sold yet that Bradley Cooper could ever nab a nod, but with David O. Russell behind the picture, Silver-Linings Playbook is definitely a part of the conversation. Hugh Jackman is a strong one to break into the top five for Les Miserables, whose buzz seems incredibly strong though I’m not totally sold that it’ll deliver Academy-wise. Jamie Foxx already has an Oscar under his belt, but has stepped away for less golden pursuits – teaming up with Tarantino in Django Unchained is definitely a major step in the right direction, but will it be his movie or DiCaprio’s? Seth Rogen is starring opposite Barbra Streisand, which could be the magic touch for The Guilt Trip. It’s not totally implausible – we never thought we’d be saying Academy Award nominee Jonah Hill, did we? Finally, Colin Farrell continues his quest for Academy credibility with Seven Psychopaths. It’s easy to forget he’s had a smattering of prestige roles mixed in with the action movies – I see him eventually connecting, perhaps not this year. Rising Stars and Possible Late Entries: Every year a few straight-up newbies or established actors looking for the break-out Oscar role enter the mix. Joel Edgerton has gained a handful of fans for his turn in Animal Kingdom, and a seemingly starring role in Kathryn Bigelow’s Zero Dark Thirty could be just the ticket. 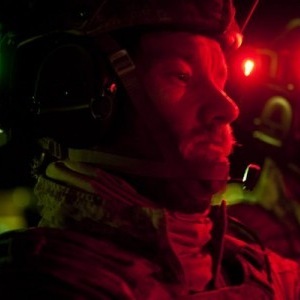 But will there be a true lead in this bin Laden flick? Suraj Sharma has the benefit of popular source material and lauded director in Life of Pi – but will it be a visual affair more than a performance one? Oscar Isaac has been threatening to break out for a few years, and a starring role in the Coen Bros.’ Inside Llewyn Davis could do it. It just needs a solidified release date. Jeremy Irvine made waves last year in War Horse but didn’t see much for award hardware. Perhaps the latest adaptation of Great Expectations will do the trick. Ryan Gosling has two strong roles down the pipe, Only God Forgives, the re-team with Drive director Refn, and The Place Beyond the Pines, though neither has a release date yet. And Christopher Plummer looks to follow up his long-gestating Oscar win with Barrymore, which looks to be a December release. Rounding out the possibilities are performances that will probably get limited qualifying runs, Colin Firth in the action comedy Gambit, Terrence Stamp in Song for Marion, and Ewan McGregor in sci-fi thriller The Impossible. *Though I could see Hoffman and Plummer entering the race if the former goes lead and if the latter finds a solid release. 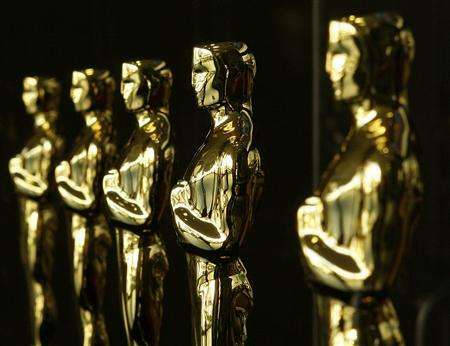 oscars 2012: can I buy a frontrunner? 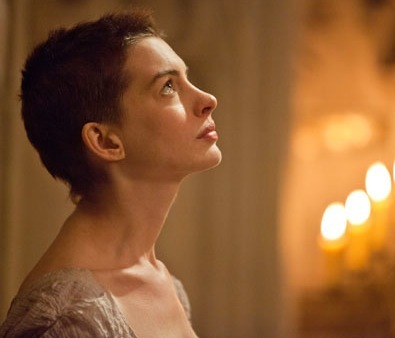 With the halfway point of the year well past, it’s high time I check in with the Oscar world. Though it seems there are only a few slight contenders released thus far in the Best Picture category, the rest of the release schedule could hit or miss, depending on distribution, critical response and overall fallout/reward-reaping. I think the late releases show much more legitimate promise than last year’s lineup; then again, legitimate quality isn’t always paramount for voters. But complaining about Academy choices isn’t the point at all – it’s the unyielding fun that comes from predicting those choices. And since that feat has become increasingly easy with the onslaught of precursor awards, it’s best to get a jump on it. So let’s dive in! First-Half Sleepers, Underdogs and Behemoths: Though the Academy looks to the November/December crowd for many of its nominees by February, the accidental connections that kick off the January through June period (although, let’s be real – we might as well toss the first two or three months of the year, outside Best Animated Feature) yield the occasional BP nominee. But who to represent that cause for 2012? 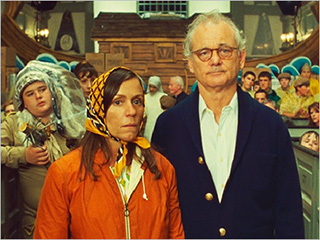 There are a couple of obvious choices in the arthouse surprise hits (the Midnight in Paris, or to a lesser extent The Kids Are All Right, slot, if you will) in Wes Anderson’s Moonrise Kingdom and John Madden’s The Best Exotic Marigold Hotel. The former of the two obviously carries more of the cache thanks to great box office sea legs and general mini-hysteria toward the oddball flick. And then there are the massive blockbusters with the relatively strong reviews that seem to always incite the instant “will it or won’t it” attitude about its Oscar prospects. Though there’s something to it, the two highest grossing pictures of all time have managed a BP nod, it’s a fine line. And that line is The Dark Knight. So the chances for the likes of The Hunger Games, The Avengers, and The Dark Knight Rises are questionable at best, though I see the middle entry on that list having the most legitimate shot at a nomination. There will be plenty of technical nods to be had, to be sure, but could Avengers total 2012 dominance factor into the overall necessity of honoring “the best” by year’s end? And though critical reaction to DKR hasn’t been nearly as strong as for its predecessor, can it squeak by off of a guilt trip? I’m thinking not quite, but it will depend on the rest of the year’s crop. Rounding out the early-year releases are the strong festival contenders, namely Beasts of the Southern Wild, which seems to have the seemingly best shot of any film thus far released at a BP nomination, and the moderately successful (both critically and financially) fan favorites, Magic Mike and Brave. The former is a huge overreach, I’m guessing, considering it’s stripperfied central focus, but it’s tough not to keep it in the conversation considering the cultural impact it seemed to have this year. And though Brave may not be a “fan favorite” it has fervent fans and decent receipts. But will the Cars 2 afterglow, or afterdulling as it were, dim its chances of making a top five to 10 of 2012? 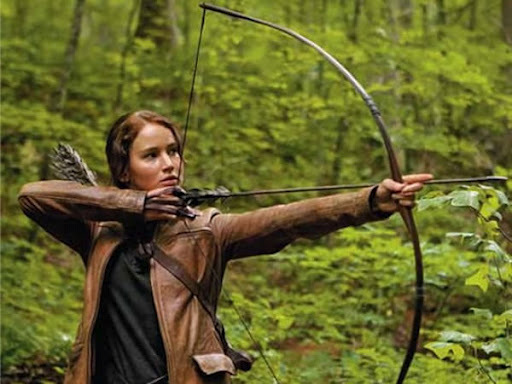 Shoot ‘Em Ups and Dress ‘Em Ups: Trends can play a significant role in Hollywood’s ultimate decision, and recent years have taught us the Academy is feeling nostalgic. And not just for its own yesteryears but for royalty yesteryears. The King’s Speech and The Artist have taught us some habits are hard to shake. In the same vein, how will the plethora of gun-toting flicks play for voting audiences, which seem to be tentative toward the sub-genre of late (Gangster Squad is officially out of the conversation now…)? The likelihood that we’ll see Lawless, Killing Them Softly, and Argo on the final ballot could seem slim at this point, but pedigreed casts and production teams could change all that. My thought is that the first two land more by way of acting or sound categories, while Ben Affleck’s latest has strong buzz and more than likely the best shot at a Best Picture chance. The much more likely prospects, arguably the most likely prospects of the whole group, are going to come out of the costume epics and literary adaptations. The two biggies are probably Les Miserables, which will battle the oft-struggling musical status that has been hit and miss in the past decade, and Hyde Park on Hudson, which in theory should have no trouble racking up a good 10 nods on its way to the eventual win. But a lot depends on momentum. And internal sub-genre competition could come from Joe Wright’s Anna Karenina, Baz Luhrmann’s The Great Gatsby, and Mike Newell’s Great Expectations. All three scream “bait,” but elements of each seem like they could fail them in the end. Karenina and Gatsby give artistically liberal vibes from the trailers, which can put off voters, and Great Expectations hasn’t found a surefire release date in the States just yet. And rounding out the costume epics are the Honest Abe biopic Lincoln, which is the very definition of Oscar bait – multiple honorees in the cast, large-scale time-spanning storytelling, biographical subject and beloved director… and the generic title doesn’t hurt. Though, we all know that J. Edgar and The Iron Lady struggled last year, so don’t get too hepped up on the Spielberg juice just yet – I have doubts this will deliver when it comes to Oscar. Speaking of high expectations, The Hobbit: An Unexpected Journey should have no trouble racking up the visual and aural nominations, but the lighter source text may not suit itself to the Best Picture lineup – particularly since voters know there will be three consecutive years of it to partake in. Finally, if royalty and costumes are what they’re after, there’s always foreign offering A Royal Affair, which will struggle with competition in Karenina and Hyde Park, but could find a devoted enough following. Director Obsessions, Visual Beauties and the Borderline Date Shifters: Some of the most fanatical entries on the release schedule for the year include those courtesy of critical darling directors who’ve assembled notable enough casts to create buzz that will likely come to fruition in the fall and holiday seasons. The arguable frontrunner in this category is The Master, which is bringing in Oscar favorite Paul Thomas Anderson and relative comeback kid Joaquin Phoenix in what looks to be a harrowing achievement. And courting controversy can often help with more liberal voters. Rounding out the director-lover’s crowd are Clint Eastwood (Trouble with the Curve), David O. Russell (Silver-Linings Playbook), Michael Haneke (Amour), Kathryn Bigelow (Zero Dark Thirty), and Quentin Tarantino (Django Unchained). It’s feasible to think that many of these contenders will end up in the lineup, but Eastwood will have to contend with recent ambivalence toward his work, Russell’s film is looking awfully romantic comedy/Jerry Maguire – doesn’t seem very on trend these days, and Bigelow could struggle to finish up in time for release. Perhaps it’ll be time to go for the spectacle. Voters did embrace The Tree of Life and Hugo, so it’s feasible that something like Cloud Atlas or Life of Pi could be a serious threat to reach the final seven… or eight… or nine. Ang Lee’s adaptation looks to be an impressive visual effort, and the Wachowskis seem to have gone all out, from the looks of the trippy yet captivating Cloud Atlas trailer. All this could be threatened by a few releases that have found dates just yet but could go either way – 2012 or 2013. Terrence Malick might back-to-back it with To the Wonder, Dustin Hoffman has assembled an awards magnet cast for Quartet, and the Coen Brothers must always be taken seriously, thus the inclusion of Inside Llewyn Davis. predictions 2012: how will costume design fare with nary a sandy powell in sight? 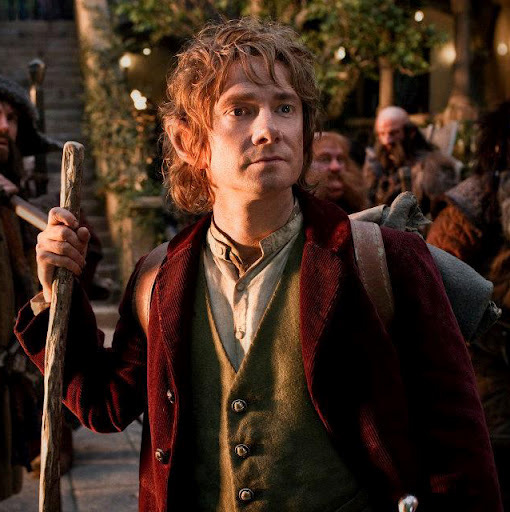 It’s a return to form for Oscar fave Peter Jackson, so the costumers’ guild will likely go gaga for The Hobbit. Yet, there’s considerable period and literary costuming in the mix and a double dose of the unstoppable Colleen Atwood. How will newcomers fare, particularly without a contender from category fave Sandy Powell in the mix? And will Terrence Malick actually release a film this year that could come into play here? Check out my thoughts on the upcoming Costume Design competition! predictions 2012: can pixar make up for a bum 2011? 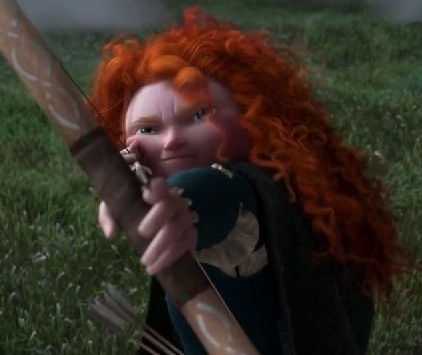 Look – we already know that Brave will more likely than not be a return to form for Pixar after last year’s unlikely misstep with Cars 2, but the real question will be whether or not it can crack the Best Picture crowd without a guaranteed 10-wide field. Boasting the studio’s first-ever leading female character, it’ll be interesting how box office receipts fare, but ideally she’ll rake it in and encourage future similar endeavors. The other big question mark for me is The Lorax. Sure, it’ll be a top 10 of the year entry, but will the so-so reviews translate to a nomination? Check out my year-ahead Best Animated Feature thoughts. Call me crazy, because I probably. I’ve begun the 2012 madness before the 2011 hysteria has even ceased. But alas, I can’t stop myself from pondering what’s to come while still celebrating what has been. So if you’re interested in my thoughts on next year’s Best Picture, Best Director, Best Lead Actress, Best Lead Actor, Best Supporting Actress, and Best Supporting Actor races, click those links! I’ll admit, it seems 2012 is the year of literary adaptations, and I relied heavily on that notion in my highly suspect predictions. Between Baz Luhrmann’s The Great Gatsby (shown), Ang Lee’s Life of Pi, and Peter Jackson’s The Hobbit: An Unexpected Journey, it’s all about adaptation. But Alfonso Cuaron and the folks at Pixar might want to district with some original pieces, Gravity and Brave. Take a look at my delusions in the linked pages or via the mini-menu to the left, and post your own thoughts on 2012 in the comments!